Distressed FX is a wonderful app for converting photographs to artwork. It’s in frequent use by me to add textures and other effects to my images during the conversion process that often results in the question “Is it a photograph or is it a painting?” The developers suggest that this app can be used to ‘transform even the most mundane photo into a work of art’ and is particularly suited to still life and landscape photography. Rating (all versions): 5 (3947 ratings). Rating (current version): 4.5 (464 ratings). Creating gorgeous artwork from your photos has never been easier. With Distressed FX, simply take a photo and choose from a wide range of textured images and overlays. Transform even the most mundane photo into a work of art. See our hashtag #distressedFX on Instagram to see 100k+ examples! • Particularly suited to still life and landscape photography - this app will perfectly compliment your existing collection of photo apps. Distressed FX is powered by the textures of Cheryl Tarrant, a texture artist from Tennessee. Her popular and unique style is now available in your pocket, wherever you go. Distressed FX (tm) is a trademark of Cheryl Tarrant in the United States of America. Reflecting on my year of iPhoneography. My most popular images on Instagram. My most popular workflows and the apps most frequently downloaded. App stacking iPhoneography tutorial using four of my go to iPhone photography apps for adding texture to images. Distressed FX / Mextures / Modern Grunge / Snapseed. This textured painterly floral iPhoneography image of some Oxeye Daisies picked from our front garden is a real favorite of mine. I got to play with lots of apps! Textured painterly iPhoneography composite image captured down the road from my house. Lincolnshire is an agricultural county and this is a typical scene. 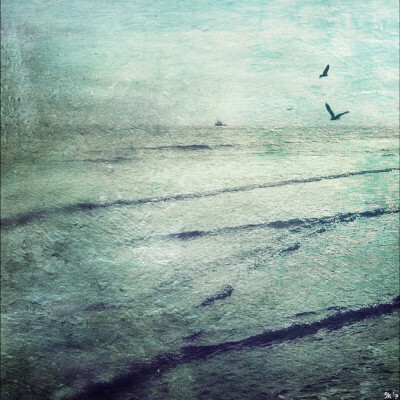 Textured painterly seascape iPhoneography image. This workflow includes my own first use of Distressed FX having been introduced to it by a host of wonderful iPhone artists. I have long admired the iPhoneography art of my friend Gianluca Ricoveri. It is a privilege to share one of Gianluca’s images and the processes he adopted.